Cranberry pills and cranberry juice are often touted as a good home remedy for preventing urinary tract infections, which can cause frequent urination. Cranberry pills do not cause excessive or frequent urination. Do not take any supplements without the advice and supervision of your doctor. Cranberry pills can make you more likely to develop kidney stones because they contain a chemical called oxalate. Kidney stones are most commonly made of oxalate and calcium; so raising your level of oxalate can also raise your risk of kidney stones. Symptoms include pain in the side, back or bladder area and blood-tinged urine. As the stone works its way down through the urinary tract, you may feel the urge to urinate frequently in order to pass the stone. Do not take cranberry pills if you are experiencing these symptoms. See your doctor for a diagnosis, as occasionally kidney stones require medical treatment. While cranberry pills may prevent urinary tract infections, or UTIs, they do not cure the condition if you have already developed a UTI. 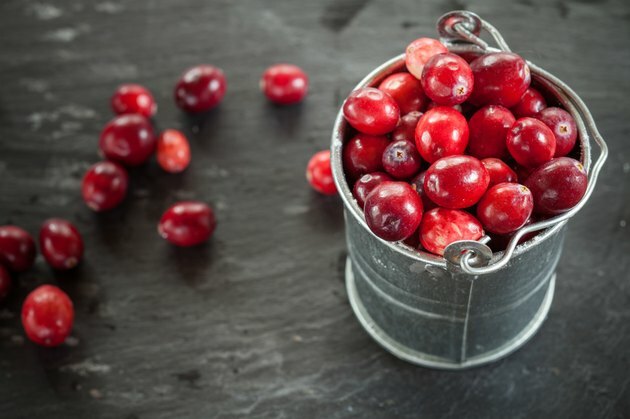 Cranberry pills and cranberry juice may make bacteria less likely to stick to the walls of the bladder, potentially reducing your risk of developing the frequent urination and pain of an infection. If you already have symptoms, however, taking cranberry pills instead of seeing a doctor may allow the infection to spread. See your doctor right away, because UTIs need to be treated with an antibiotic. Some people take cranberry pills in an attempt to treat diabetes, which is another cause of excess urination. MedlinePlus states that there is no evidence that the supplements lower blood sugar levels. Other symptoms of diabetes include extreme thirst and hunger, fatigue and unintended weight loss. Since diabetes can lead to damage to the kidneys, eyes and nervous system, it is important to see your doctor promptly if you experience these symptoms. The longer you go without treatment, the more likely you are to develop complications, explains the American Diabetes Association. Do not take cranberry pills if you are pregnant or breastfeeding, because there is not enough evidence to determine whether they are safe for your baby. If you are taking a blood-thinning medication, ask your doctor whether cranberry supplements are safe for you to take, as they may increase the time it takes your body to process these medications. If you have any health problems, including problems with your urinary tract, talk to your doctor before taking this or any other herbal supplement.